A big thank you to Nick Malos, co-Chair of our Programs Committee, for putting together a great annual breakfast meeting in October, where many of us participated in an excellent panel discussion regarding “Disruptive Innovation in Healthcare Delivery”. Moderated by Rod Tarrago, Seattle Children’s CMIO, and with panelists Ann Goldman (Multicare), Dan Low (MDmetrix/Seattle Children’s), Bernadette Minton (Providence St. Joseph Health), and Sriraman Rajamani (Health Catalyst) – the panel shared their perspective on the evolution of technology’s impact on healthcare, with a focus on use of data analytics. I also want to thank the Membership and Advancement Committee co-Chairs, Karin Larson-Pollock and Brooke Stegmeier, for their efforts to put together a Fellows educational event with a national speaker on “Leading in a Changing Environment: Focus on Population Health”. I heard that the presenter, content and venue were excellent. Thanks to Steve Saxe, we launched Advancement Information Sessions via webinar for members wanting to advance to Fellow, helping them to learn about the process and tips for successfully passing the exam. The Board is also mindful of the need to create more opportunities for members on the east side of the state, hosted a couple of events in 2018, and am pleased that we now have two representatives on our Board from eastern Washington who are eager to help further the effort in 2019. Additionally, I am very excited about the work that is occurring to launch our organizational champion framework. This is a focus on engaging individuals from various organizations throughout the state to serve as the point of contact for disseminating information and gathering feedback on our activities, with an aim of better engaging our members. The Board is continuing to look for opportunities to best meet the needs of ACHE members in our state and will be having a half day retreat in January to talk about the year ahead. We always appreciate hearing your ideas, so please reach out if you have items you would like us to consider. Finally, I want to remind you about the upcoming ACHE Congress in Chicago March 4-7. This is always a great opportunity to learn from leaders in the field on a wide variety of topics, as well as reconnect with colleagues and meet new ones. Thank you again for your support this past year – it was a pleasure serving as President. In January I will pass the baton to Lori Nomura who will serve as President for 2019. Lori has been a long-standing supporter of WSHEF and has served on the Board for several years. She has been instrumental in working with the Board over the past few months to establish a new strategic plan, which you will hear more about in the coming year. It has been a beautiful fall here in the Great Northwest and I hope you have had an opportunity to enjoy the weather – even the snowy Apple Cup that will be remembered for years to come. Whether you’re a Husky or a Cougar we can be proud of both our teams this season. It was a pleasure to meet so many of you at our meet and mingle events, annual breakfast during the WSHA conference, or at the Museum of Flight for our Face-to-Face educational program focusing on population health. I hope you make 2019 the year to attend more events. Registration is open now for the Congress on Healthcare Leadership March 4-7 in Chicago. As I write, the CDC announced that for a 3rd straight year our life expectancy has decreased erasing many of our gains this past century. Our nation needs healthcare leaders now more than ever to improve the health and resiliency of our communities. May we all show more compassion and caring for one another in our homes, neighborhoods, organizations, and our region. In closing, I am pleased to announce I have joined the team at Overlake Medical Center & Clinics as the Director of Primary Care and Urgent Care. Our Eastside communities are growing and it’s a joy to work in the community I call home. May you have a relaxing holiday season, ready to tackle new challenges in 2019. On Nov 9, 2018, WSHEF offered a unique face-to-face educational session which provided its members 6 ACHE credits. The event was held at the Museum of Flight in South Seattle. Free admission was provided to the museum so all attendees could enjoy the museum. The seminar focused on the essential steps to build an effective population health program within your system to meet the growing demands of value based care. The program was led by the expert faculty of Drew Harris, DPM, DPM, MPH, Jefferson School of Population Health Jon Burroughs, MD, FACHE, President & CEO, The Burroughs Healthcare Consulting Network, Inc. 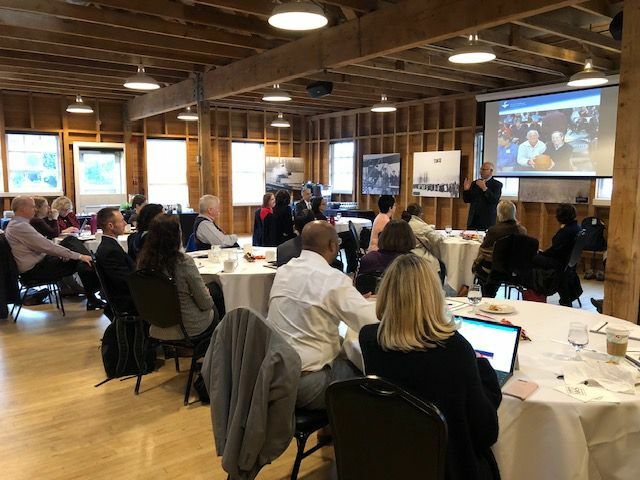 Approximately 27 WSHEF members learned how to build the infrastructure and business plan to successfully execute risk based capitated population health programs. Breakfast and lunch was provided during networking sessions. Feedback from attendees included very positive reviews of the faculty and many ideas from the attendees of how to implement what they had learned. Thanks to Karin Larson-Pollock, Brooke Stegmeier and the programing committee for their efforts in this successful educational event! What to Expect in 2019 from WSHEF! Dr. Gary Smith, PhD, FACHE, began his career in 1968 to serve in the US Army Medical Service Corp for the Administrative Branch. His service in the State and Vietnam not only provided him with abundance of experience in administration, but also broadened his vision for Healthcare and set him strong to move forward in his initial goal of pursuing Physical Therapy. Dr. Smith obtained his Certificate of Physical Therapy from the Mayo Foundation School of Physical Therapy. After all his hard-work and from the plentiful experience gained by working in Hospital and long-term settings, he served as a Director for a larger Hospital. Eventually, he returned to school and successfully received a Master’s degree in Health Service Administration. By developing many of his privately owned Physical Therapy clinics across the region, Dr. Gary Smith has had enormous management, as well as clinical experience. This has all helped him structure the Physical Therapy Department at Eastern Washington University, after which the University stimulated him to pursue his PhD. He later went on to become the Chair of the Physical Therapy Department at the University. He continued his work for almost 30 years, after which he sold his clinical facilities and buildings to move on to the next stage of his life. For almost 10 years after that, he honored the Administrator position at the region’s largest rehabilitation facility, which for him was “extremely rewarding and fulfilling.” He is now, after his retirement, teaching three courses at Washington State University for the Masters in Health Policy and Administration (MHPA) program. Applications for the 2019 Dent and McGaw scholarships are opening soon! Offered annually, the Albert W. Dent and Foster G. McGaw graduate student scholarships are awarded to outstanding students enrolled in graduate programs in health services administration to help finance their education. Each scholarship is worth $5,000. Every year, ACHE awards up to a total of 15 scholarships. Visit the Albert W. Dent and Foster G. McGaw Graduate Student Scholarship web pages for more information. Applications open starting Jan. 1, 2019. Interested in getting more involved in your Washington State ACHE Chapter? Want to influence our programming and events? Willing to sharing your knowledge and experience by mentoring the next generation of healthcare leaders? Then join our 1st class of Organizational Champions! 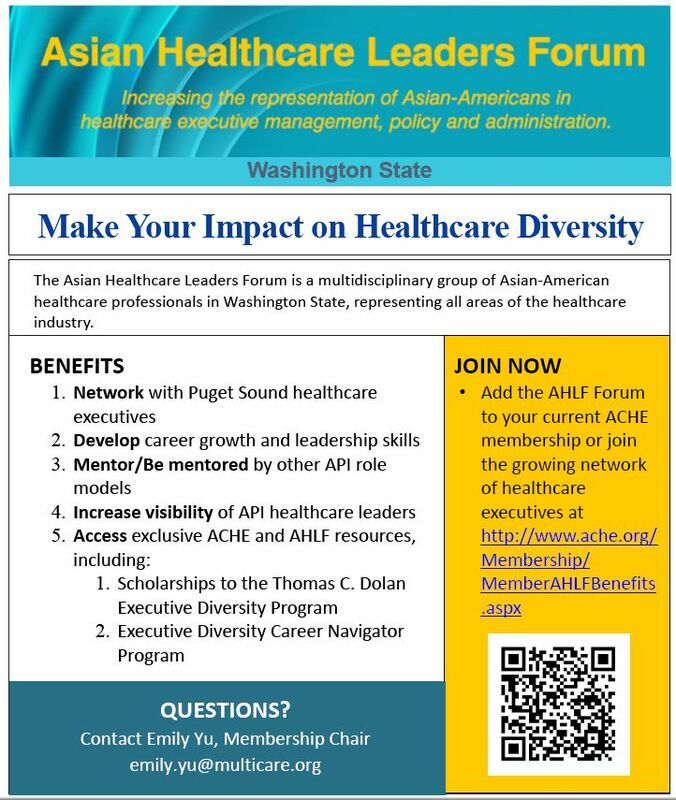 The Washington State Healthcare Executives Forum (WSHEF) is the Washington chapter of the American College of Healthcare Executives (ACHE). WSHEF is committed to being the premier professional society connecting health care leaders in Washington State to learn, share and transform health care. As WSHEF strives to strengthen our member connections – and connect members to each other, we are starting something new in 2019. We’d love for you to be involved! 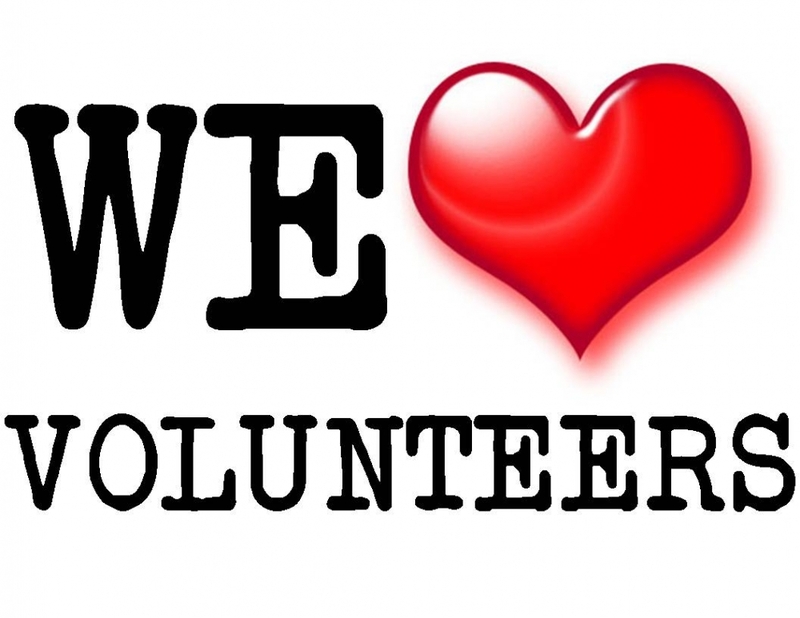 WSHEF is looking for volunteers to join our Organization Champions network. Being an Organization Champion is a volunteer opportunity to engage with the WSHEF chapter and local healthcare leaders. 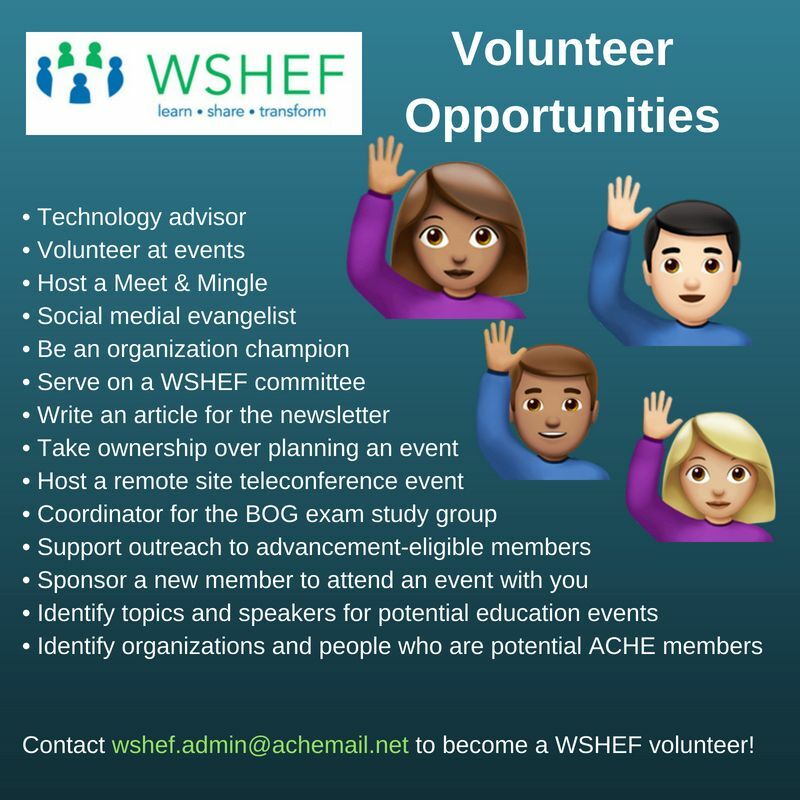 This includes serving as a liaison between the chapter and your local members (or those interested in joining WSHEF), providing input in designing our programming and events, and mentoring early careerists. Current ACHE membership is required. Commitment for this position is estimated to be no more than 2-4 hours per month. Healthcare is approaching a tipping point as burnout and dissatisfaction with work-life integration in healthcare workers continue to increase. Addressing work-life integration issues is crucial, as poor work-life integration has been linked to higher levels of burnout and patient safety risk, according to original research published in BMJ Quality & Safety. Cross-sectional survey study was completed in 2016 and included more than 10,600 healthcare workers across 440 work settings within seven entities of a large academic healthcare system. Researchers created a work-life climate scale to assess the frequency of behaviors such as skipping meals, taking breaks and changing personal plans for work among healthcare professionals. The study found that work-life climate was strongly associated with personal burnout and burnout climate, which describes how often professionals see signs of emotional exhaustion in their colleagues. In addition to lower burnout, quartile analyses of the results revealed higher work-life climate scores were associated with better teamwork and patient safety norms, better leadership and increased readiness for quality improvement. Adapted from “Work-life balance behaviours cluster in work settings and relate to burnout and safety culture: a cross-sectional survey analysis,” by Stephanie P. Schwartz, Kathryn C. Adair, Jonathan Bae, et al., BMJ Quality & Safety, Oct. 11, 2018. Clinical documentation improvement was identified as a top priority by hospital technology, financial and physician leaders in a recent Black Book Market Research report. “Because of increased patient engagement, the need for proper clinical documentation improvement driving quality outcome scores has never been more essential,” says Doug Brown, managing partner of Black Book. Highlighted below are four additional findings from the survey. • Nearly 25 percent of all U.S. hospitals now outsource some or all coding functions. • Ninety-one percent of hospitals with more than 150 beds that outsource their CDI processes reported significant increases in appropriate revenue and proper reimbursements in the third quarter of 2018. • Eighty-eight percent of hospitals confirm documented quality improvements and increases in case mix index within six months of CDI implementation. • Eighty-nine percent of hospital financial officers say that the above factors do influence their motivation to adopt CDI practices. Adapted from “Black Book Survey: New Generation CDI Enhances Patient Care and Reduces Financial Risk,” Black Book Market Research, Oct. 19, 2018. ACHE’s Journal of Healthcare Management has launched a new podcast series on the JHM website and on iTunes. “A Leader Who Cares” is an audio version of the interview included in each issue of JHM and offers a convenient digital format for busy leaders. In the first installment of the podcast series, Richard D. Cordova, FACHE, president emeritus of Children’s Hospital Los Angeles and current member of several boards, shares his thoughts on how serving on boards has shaped his perspective on healthcare leadership. JHM Editor Eric W. Ford, PhD, leads the interview in the September/October issue of JHM, accessible in print, online via ache.org/Journals, and on iTunes. Encourage your members to listen to this series for inspiration from ACHE’s leaders. ACHE has launched a redesigned ache.org on December 17. This new "digital front door" is an important milestone in delivering on our goal to educate, engage and inspire leaders to improve health. The new website is the first phase of a digital strategy that will continue to evolve, ultimately providing healthcare leaders, especially members, with value-added content, a personalized experience and a sense of community. While the site provides a fresh, new look and experience, the regular activities that members conduct on the site, such as paying membership dues, registering for a seminar or purchasing a book, will function as usual. The UW Executive MHA Program (EMHA) is accepting applications for its fall 2018 cohort. This part-time master’s program equips you with the business and management skills to advance into leadership roles and help your organizations deliver better patient care. Designed for mid-career professionals, the EMHA program allows you to continue working full-time while earning a Master of Health Administration (MHA) from one of the best programs in the nation. The healthcare industry needs leaders who thoroughly understand the unique and complex business of healthcare. Consider applying or forwarding to colleagues in your network. If you have questions about the program, visit ache.org/TuitionWaiver. All ACHE members located within the chapter's assigned geographic territory are automatically members of the chapter as a benefit of being an ACHE member. Only ACHE members are eligible to hold membership in the chapter.